Sheboygan Service Club (SSC) is now accepting scholarship applications for the graduating Class of 2019. This year SSC will joyfully award (4) well deserving high school seniors with a $2000 scholarship for exemplary work in the area of academics and community involvement. All applicants must live in and attend school in Sheboygan County or have lived in Sheboygan County two of the four years they attended high school in Sheboygan County. All applicants must be a 2019 graduate. All completed scholarship applications are to be submitted electronically by March 8, 2019 (11:59pm). Incomplete or late applications will not be considered. 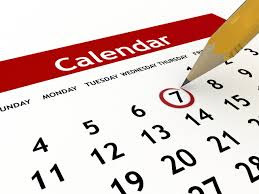 SSC endeavors to foster interest in its members about the social, economic, educational, cultural and civic conditions of the county and to prepare members for continuing volunteer service within their community. Our Partner Charity is typically an organization seeking a sizable donation (over $10,000) and one who is willing to assist in selling raffle tickets, securing corporate tables, and gathering auction items to be bid on the night of the event. In return, we enthusiastically share half of the net proceeds from the gala with our Partner Charity. The remaining half of our net proceeds are distributed to a handful of other local organizations or projects. SSC is now accepting applications for our 2019 Partner Charity Requests. Each year we invite all Sheboygan County 501(c)3 to submit an application to be the Partner for the year. Partner Charity Applications (tier 1) and all supporting documents were to be submitted by March 31st. Submissions must be electronically submitted with all accompanying documents via email by March 31, 2019. Late or incomplete applications will not be considered. Sheboygan Service Club supports anyone in need of compassion, shelter, nourishment or education within Sheboygan County. In addition to volunteering within the community, SSC members host one major fundraiser each year known as the Annual Charity Ball. In the past, the Sheboygan Service Club, Inc. and its Foundation have shared the proceeds from its Charity Ball with 25-50 local non-profits annually. 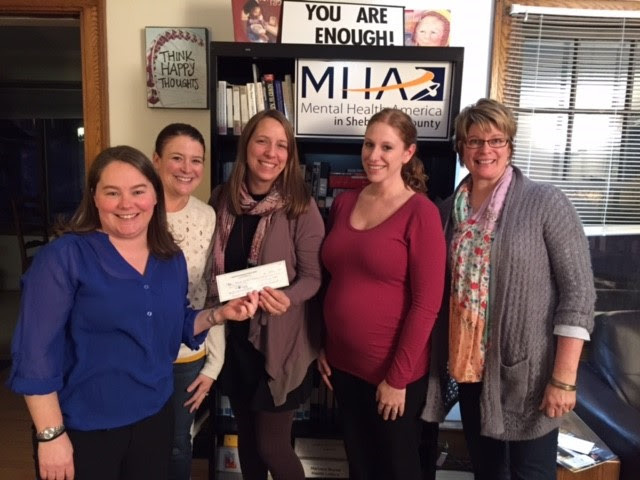 The Sheboygan Service Club and its Foundation support anyone in need of compassion, shelter, nourishment or education within Sheboygan County. 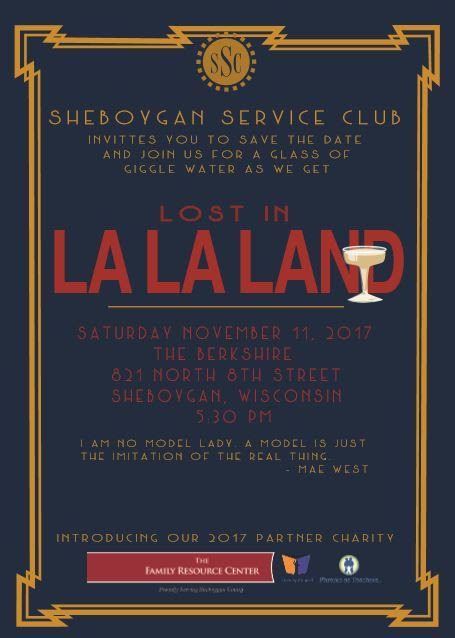 In an effort to make a larger impact in some of the local organizations and projects we support, the Sheboygan Service Club and its Foundation has for the last eight years designated half of its Charity Ball net proceeds to support one top organization or project each year; while providing the remaining half of our net proceeds to a handful of other local organizations or project and scholarships. SSC is now accepting applications for our 2019 Partner Charity and invites all Sheboygan County 501(c)3 to submit an application to be this year’s Partner. Applications and all supporting documents must be received by March 31st. Visit http://www.sheboyganserviceclub.org/charity-ball-fundraiser to retrieve a copy of the application. The theme of this year’s show was the 2011 comedy film “Bridesmaids”, where the crowd was entertained with musical and comedic skits related to scenes from the movie. The SSC promotes sisterhood and the empowerment of women to lift each other up and create lifelong, meaningful friendships while serving the greater community. In addition to volunteering within the community, SSC members host one major fundraiser each year known as the Annual Charity Ball. In the past, the Sheboygan Service Club, Inc. and its Foundation have shared the proceeds from its Charity Ball with 25-50 local non-profits annually. 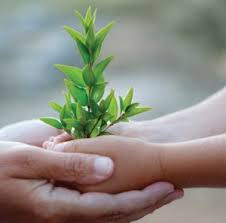 The Sheboygan Service Club and its Foundation support anyone in need of compassion, shelter, nourishment or education within Sheboygan County. 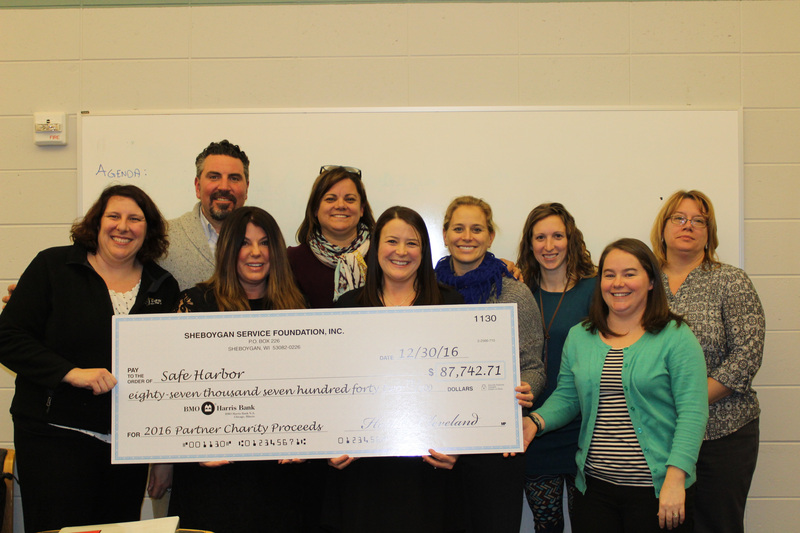 In an effort to make a larger impact in some of the local organizations and projects we support, the Sheboygan Service Club and its Foundation has for the last seven years designated half of its Charity Ball net proceeds to support one top organization or project each year; while providing the remaining half of our net proceeds to a handful of other local organizations or project and scholarships. SSC is now accepting applications for our 2018 Partner Charity and invites all Sheboygan County 501(c)3 to submit an application to be this year’s Partner. Applications and all supporting documents must be received by March 31st. Visit http://www.sheboyganserviceclub.org/charity-ball-fundraiser to retrieve a copy of the application. The theme of this year’s show was Welcome to La La Land, where the crowd was entertained with skits from an assortment of movies and shows from the early 1900s. The SSC was founded by Edith Testwuide in 1931 as a way to address the many needs of the community during the Great Depression.